This week Fred, Jam, and Derrick from Dead Pixel Live are celebrating the 25th Anniversary of the Sega Genesis. 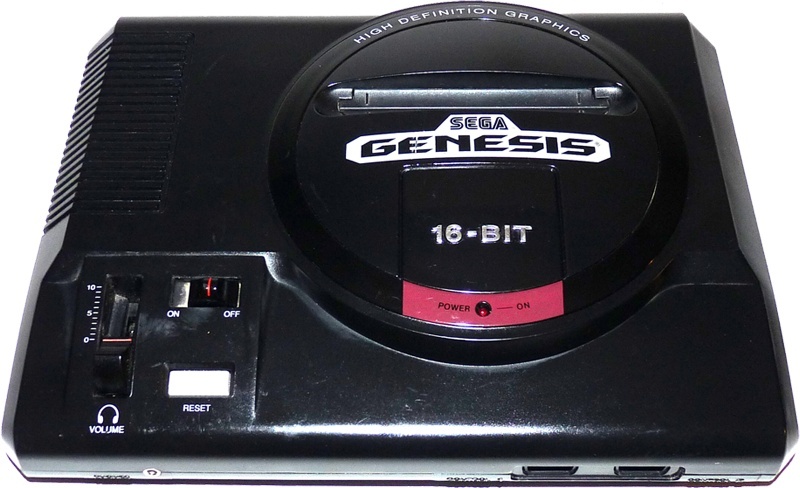 The first heavy hitter of the 16-bit generation started as a console for sports games and high quality arcade ports and later became known as the console for edge and violence. They cover the creation, launch, and span of a console that in six short years gave us a coveted library of memories. One of the more quirky things in terms of hardware for the Megadrive came late in the console’s life from Codemasters. A small number of games they released came in a special cart called “J-cart”, which had two extra controller ports in the cartridge itself, allowing for four players to be able to play the game without the need for multitaps. I remember hiring Super Skidmarks (a Micro Machines-like racer) and taking my Megadrive to a friend’s house with some extra controllers, with four of us crowded around his TV playing Super Skidmarks, we had such a blast. Pity Codemasters never licensed the tech out to other developers, but then it came rather late in the Megadrive’s life anyway.